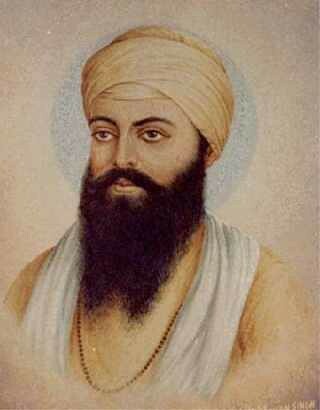 Guru Ram Das ji was born in Lahore. Guru Ram Das Ji’s birthday is known to Sikhs as Prakash Utsava. He inspires us to live a life of kindness and provision. Guru Ram Das was born on September 24, 1534 of the Julian calendar. His parents Hardas and Dayavati were known for their honest and religious living. Guru Ram Das was popularly known as Jetha the first-born of his parents. In Sanskrit ‘Jetha’ or Jayeshth word means the first, or the eldest son of family. Guru Ram Das ji was known as the Fourth Guru. He established the city of Amritsar. Guru Ram Das Ji had fair features, good-looking, lovely and happy faced. Guru Ram Das was the motivation of the Golden Temple in Amritsar. Golden Temple is the most holy temple of the Sikhs worldwide. In morning people celebrated his birthday in the Amrit Vela with a special Sadhana. During evening times kirtan programs are arranged and Guru Ji ka Langar in gurdwara. Birthday of Guru Ram Das Ji will be celebrated on Wednesday, 9 October in 2013.